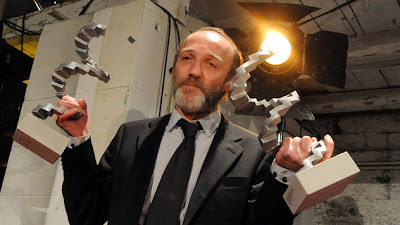 The Akademie des Östereichischen Films (Academy of Austrian Film) held their awards ceremony at the Rosenhügelstudios, Vienna for their second annual Österreichischen Filmpreis (Austrian Film Awards). Karl Markovics's directorial debut Atmen (Breathing) topped the winners with six of the thirteen awards. It had led with six nominations and won each of them, taking Best Picture, Director, Actor (Thomas Schubert), Screenplay, Music and Editing. Markovics is Co-President with Barbara Albert of the Akademie des Östereichischen Films. Best Documentary went to Michael Glawogger's Whores’ Glory. It also picked up Best Cinematography. Another double winner was Mein bester Feind (My Best Enemy), which took Best Costume Design and Makeup. The Best Actress winner was Ursula Strauss for Vielleicht in einem anderen Leben (In Another Lifetime). The winners are chosen by more than 200 members of the Akademie des Östereichischen Films.